The Energy Resources Institute (TERI) has been ranked as the second best climate think tank in the world. The rankings were released by the the International Center for Climate Governance, which focuses on the design of climate policy and related governance issues. The Energy and Resources Institute (TERI) is a research institute based in New Delhi that conducts research work in the fields of energy, environment and sustainable development. Established in 1974, it was formerly known as Tata Energy and Resource Institute. The finance ministry has removed additional excise duty on tobacco, pan masala and cigarettes with effect from July 1, following the GST implementation. The revenue department also "rescinded" the central excise notification dated February 27, 2010, which deals with excise duty rate on unmanufactured tobacco and chewing tobacco. The GST Constitutional (Amendment) Act permits the Centre to levy excise duty on six items including tobacco and tobacco products. The other it ems are petroleum crude, diesel, petrol, natural gas and ATF. Following the rollout of Goods and Services Tax (GST) from July 1, the central excise notifications for tobacco, pan masala and cigarettes had to be brought in line with the new indirect tax regime. Under the GST, a cess is levied on demerit and luxury goods over and above the peak GST rate of 28 per cent. 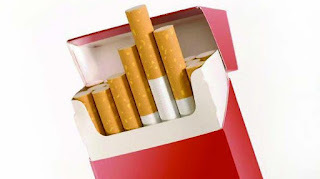 The cess on pan masala has been decided at 60 per cent, while in tobacco the levy will vary from 71-204 per cent. This will be the third village to be adopted by the Prime Minister in his Lok Sabha constituency of Varanasi. 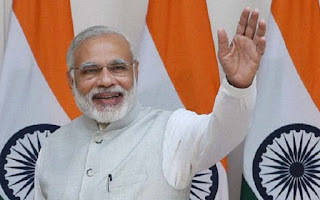 In the previous two years, Modi adopted Jayapur and Nagpur, as his first and second villages. 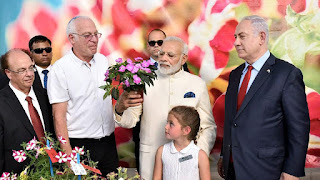 Yogi Adityanath visited Kakrahia on Sunday, and informed the people there that the Prime Minister has selected the village under the Sansad Adarsh Gram Yojana. 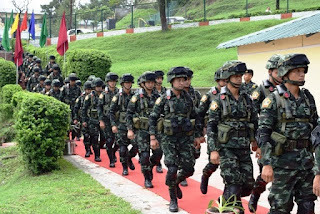 Exercise Maitree 2017 is a continuation of a series of joint exercises between the Indian Army and the Royal Thailand Army. The previous edition of the exercise was held at Krabi in Thailand in 2016. The new 101.9-metre air traffic control (ATC) tower at the Delhi airport -- touted to be the country’s tallest -- is likely to start operations by December. 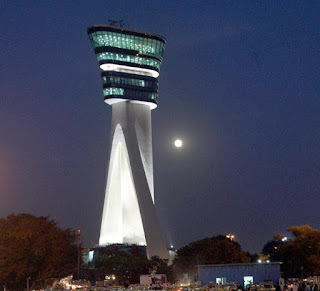 The airport operator has handed over the tower to the Airports Authority of India (AAI), whose chief said trial runs will begin soon. The tower, among the tallest structures in Delhi, will give a 360-degree view of the airport to the controllers who will be able to see all the three runways, aprons and taxiways. The tower, built at a cost of Rs 350 crore, has come up at a more centralised location. It is adjacent to the present tower and once ready, it will be the seventh tallest ATC tower in the world. The Asian Development Bank (ADB) and the Government of India on Monday signed a $220 million loan agreement meant to improve connectivity, transport efficiency, and safety on the State highways of Rajasthan. The Financial Stability Board (FSB), an international body for global financial system, today listed India among countries that are 'compliant or largely compliant' on implementation of priority area reforms. 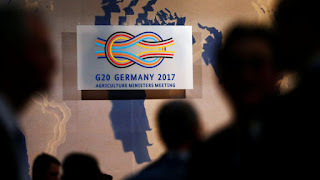 Ahead of the G20 Summit in Germany to be attended by Prime Minister Narendra Modi, among other world leaders, the FSB today submitted its status report on progress in financial regulatory reforms in various jurisdictions, including India. The report listed India as a 'compliant' jurisdiction with regard to the Basel III reforms in area of risk-based capital and as 'largely compliant' on liquidity coverage ratio. India has slipped to the 88th place in terms of money parked by its citizens with Swiss banks, while the U.K. remains on the top. Also, the money officially held by Indians with banks in Switzerland now accounts for a meagre 0.04 per cent of the total funds kept by all foreign clients in the Swiss banking system, as per an analysis of the latest figures compiled by the Swiss National Bank as on 2016-end. India was placed at 75th position in 2015 and at 61st in the year before that, though it used to be among top-50 countries in terms of holdings in Swiss banks till 2007. The country was ranked highest at 37th place in 2004. 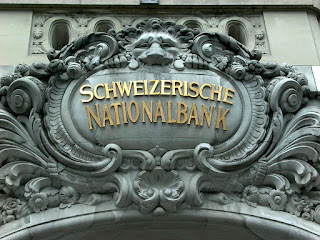 The latest data from the Zurich-based SNB comes ahead of a new framework for automatic exchange of information between Switzerland and India to help check the black money menace. The funds are the official figures and do not indicate the quantum of black money. 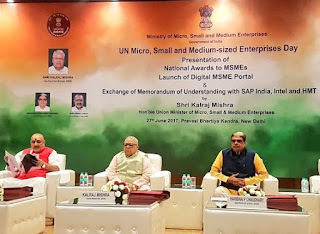 The Ministry of Medium, Small and Micro Enterprises (MSME) on Tuesday signed memoranda of understanding with SAP India, Intel and HMT with the aim to digitally empower small businesses. Launching the “Digital MSME Scheme’, MSME Minister Kalraj Mishra said the scheme revolved around cloud computing, which was emerging as a cost-effective and viable alternative in comparison to in-house IT infrastructure installed by MSMEs. 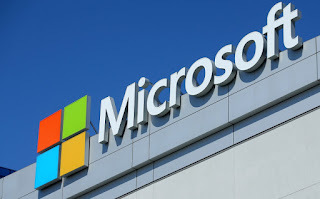 The initiative aims to provide MSMEs with access to technology to help them streamline and integrate key processes, such as financials, sales and inventory with a single business software. The tech major said it would also provide software and training curriculum to trainers identified by the Ministry under the ‘train the trainer’ method. Santander UK plc and Yes Bank has signed a memorandum of understanding to help boost UK-India trade and local business networking opportunities. 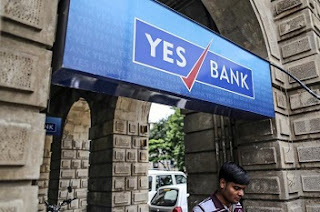 The new partnership will enable Santander to offer its clients access to banking facilities and local support in India through Yes Bank network, while Yes Bank customers will gain access to the range of financial and practical support that Santander offers businesses looking to trade internationally. 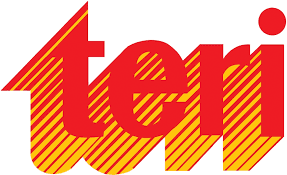 Santander UK plc manages its affairs autonomously, with its own local management team, responsible solely for its performance. Restrictions on cash dealings of Rs. 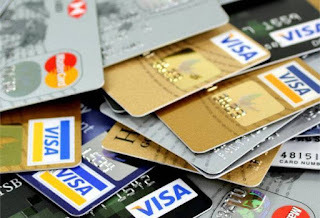 2 lakh or more will not apply to credit card bill payments, business correspondents appointed by banks and issuers of prepaid instruments, the revenue department has said. The Finance Act 2017 banned cash transaction of Rs. 2 lakh or above with effect April 1, 2017. However, some exceptions were made. The President of the Democratic Socialist Republic of Sri Lanka and Commander-in-Chief of the Armed Forces His Excellency Maithripala Sirisena has appointed Major General Mahesh Senanayake RWP RSP USP psc as the 22nd Commander of the Army after promoting him to the rank of Lieutenant General with effect from Tuesday (4th July 2017). 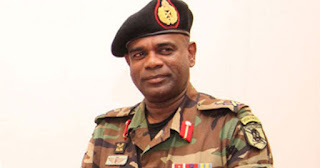 Lieutenant General Senanayake enlisted to the army on 16th October 1981 as an Officer Cadet in 16th intake and commenced his training at Sri Lanka Military Academy (SLMA), Diyatalawa. He has held many key appointments during his carrier including his previous appointment as the Chief of Staff of the Army. Himachal Pradesh director general of police (DGP) Sanjay Kumar has been appointed as the new chief of the National Disaster Response Force (NDRF). The Union home ministry on Monday issued an order appointing Kumar, a 1985-batch Indian Police Service (IPS) officer, to the top NDRF post. The post of NDRF director general (DG) fell vacant after incumbent R K Pachnanda was appointed as the chief of the Indo-Tibetan Border Police (ITBP), the Sino-Indian border guarding force. 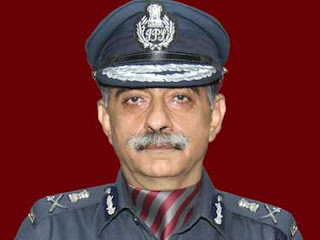 Kumar, who is the director general of police in Himachal Pradesh, is set to retire in December next year. Microfinance Institutions Network (MFIN), the premier industry association and Self-Regulatory Organization (SRO) for the microfinance industry in India has announced Rakesh Dubey, CEO of SV Creditline Pvt Ltd. as its new President of the Board. He was earlier the Vice President and has replaced R Baskar Babu as the President now. Mr Anand Rao, MD of Chaitanya India Fin Credit was also elected as the new Vice President. The newly appointed President Rakesh Dubey has 20 years of experience in the Microfinance domain and has an expertise in setting up MFIs - domestic as well as internationally. Prior to joining the SVCL team, Dubey had also been involved in the inception of SONATA Finance Pvt. 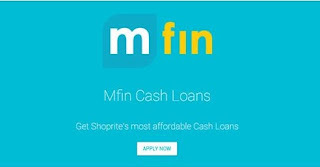 Limited and Cashpor Micro Credit. Anand Rao is MD and one of the founders of Chaitanya. His earlier work experience has been in International Development at World Resources Institute, Washington DC and in the Indian Corporate Sector at PepsiCo India and Bosch India. 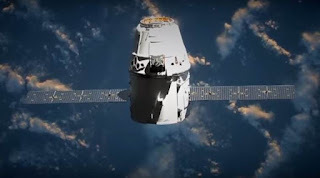 SpaceX's Dragon cargo spacecraft returned to Earth from the International Space Station (ISS), bringing back the first Chinese experiment ever to visit the orbiting laboratory. Dragon is returning more than 1,860kg of cargo, including science samples from human and animal research, biotechnology studies, physical science investigations and education activities.